Paris: People wave to people on their balconies during a demonstration Sunday, Jan. 20, 2019 in Paris. 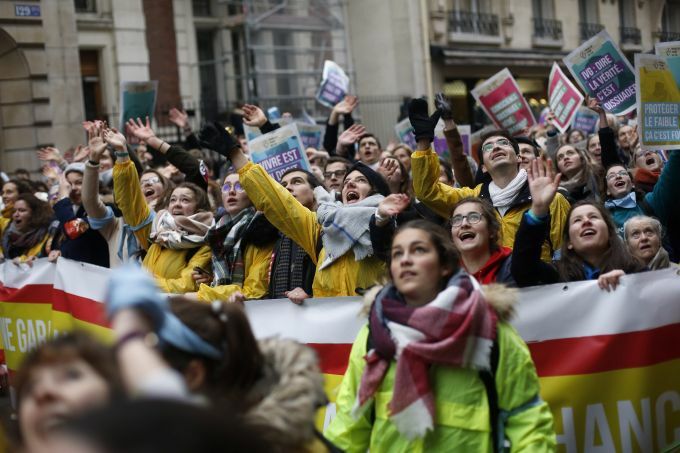 Several hundred people have demonstrated against abortion and euthanasia in Paris amid a debate on whether access to medically assisted reproduction should be expanded. 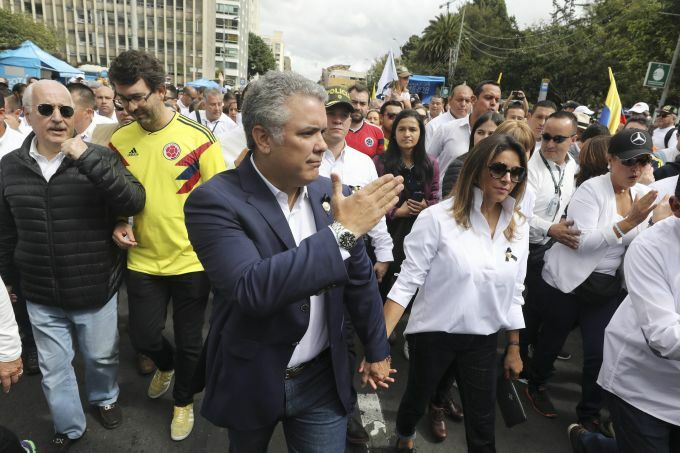 Bogota: Colombia's President Ivan Duque and his wife Maria Juliana Ruiz walk during a march to repudiate terrorism in Bogota, Colombia, Sunday, Jan. 20, 2019. A car bombing at a Bogota police academy that authorities have attributed to rebels of the National Liberation Army killed 21 people and left dozens more wounded on Jan. 17. 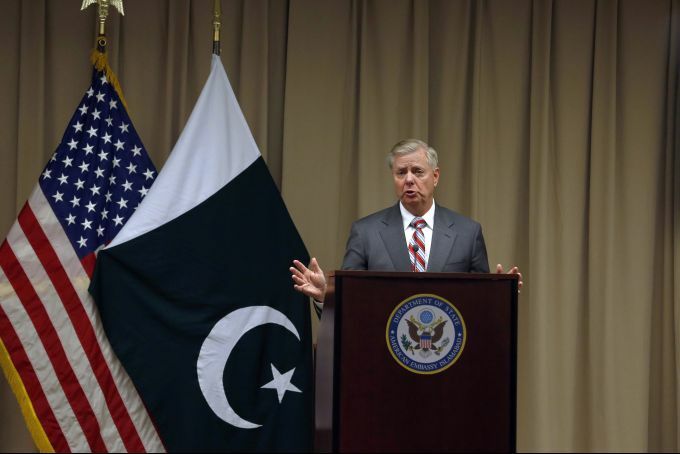 Islamabad: U.S. Republican Senator Lindsey Graham gives a press conference at the U.S. Embassy after meeting with Pakistani Prime Minister Imran Khan, in Islamabad, Pakistan, Sunday, Jan. 20, 2019. U.S. peace envoy Zalmay Khalilzad concluded his four-day visit to Pakistan, Sunday. Ingooigem: Hooded youngsters stand next to slaughtered pigs during Saint Anthony celebrations in the village of Ingooigem, Belgium, Sunday, Jan. 20, 2019. 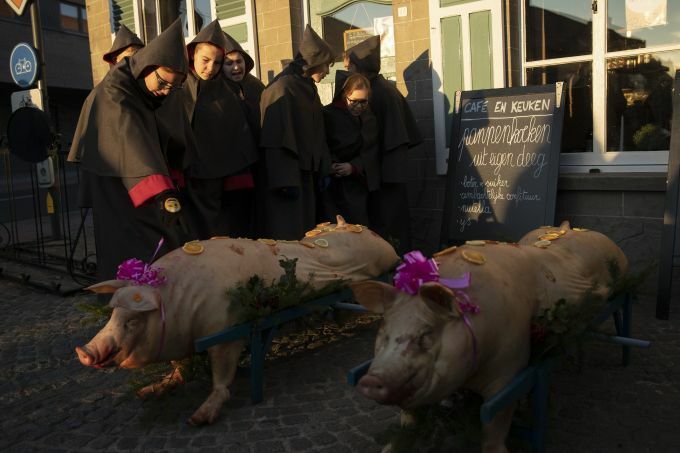 During the local celebration of Saint Anthony, patron saint of animals, hooded twelve-year-old youngsters along with other children bring killed hogs and small farm animals in a short procession to the local Saint Anthony church to celebrate a mass. After the mass, pigs are sold in a public auction while the offered farm animals are raffled among the people. 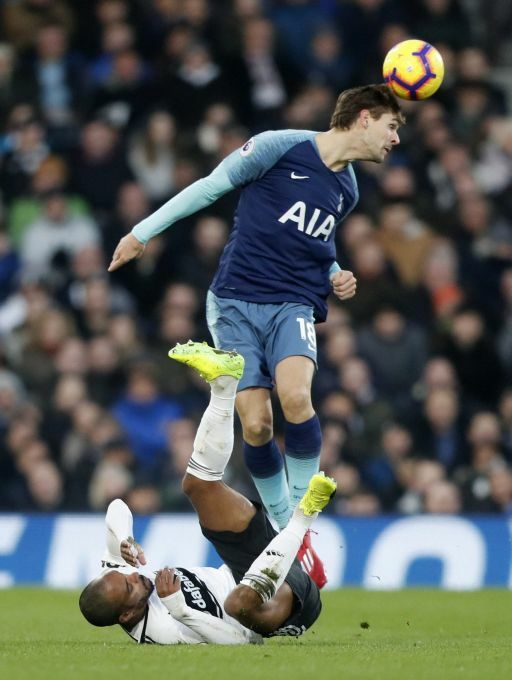 London: Tottenham Hotspur's Fernando Llorente, top, head the ball as Fulham's Denis Odoi falls during the English Premier League soccer match between Fulham and Tottenham Hotspur at Craven Cottage in London, Sunday, Jan. 20, 2019. 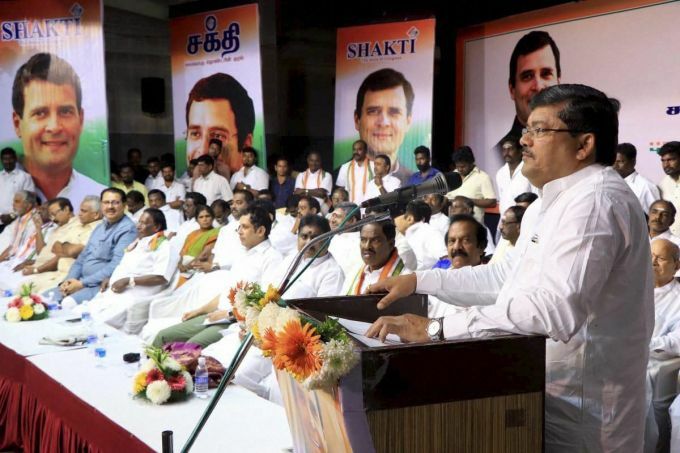 Puducherry: AICC General Secretary Mukul Wasnik addressing a meeting at the inauguration of the AICC sponsored Project Shakti in Puducherry on Sunday, Jan 20, 2019. Chief Minister V Narayanasamy is also seen.